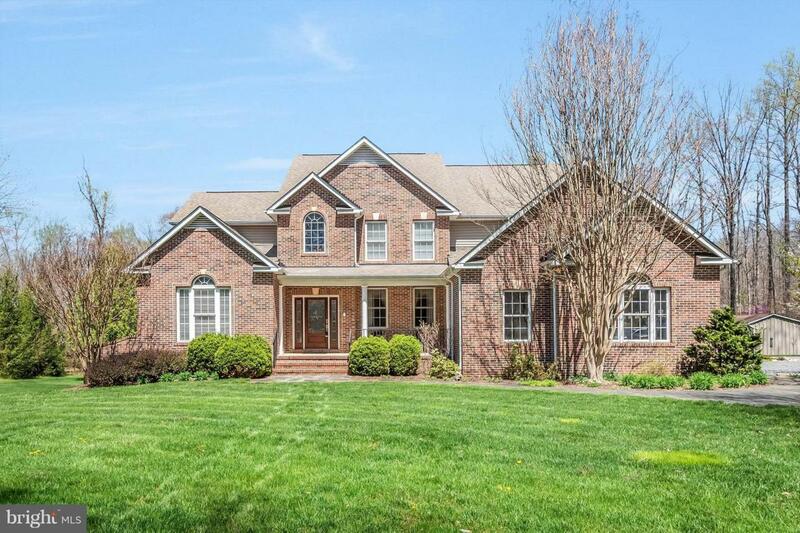 Estate home with over 6,000 finished square feet on just under 4 acres with a main level master suite. This home is in pristine condition inside and out and is loaded with upgrades. 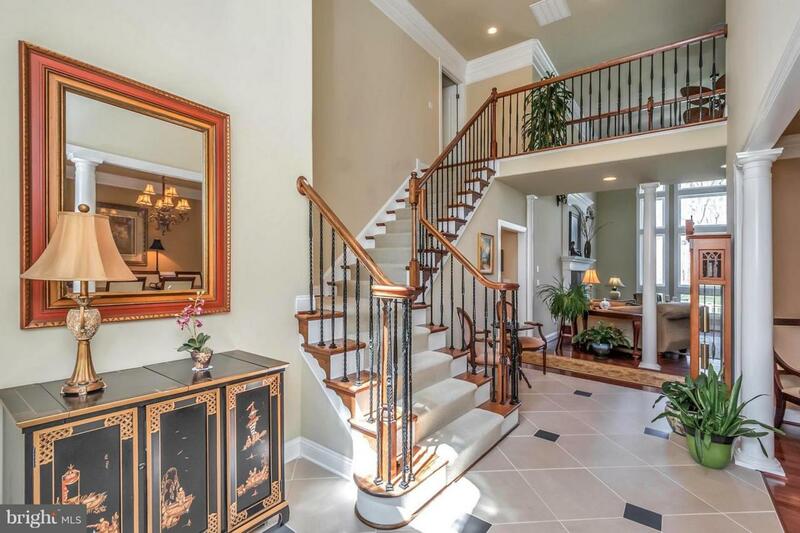 Two story foyer features custom ceramic tile, custom trim work, wrought iron spindles in the stair rails, and grand columns. 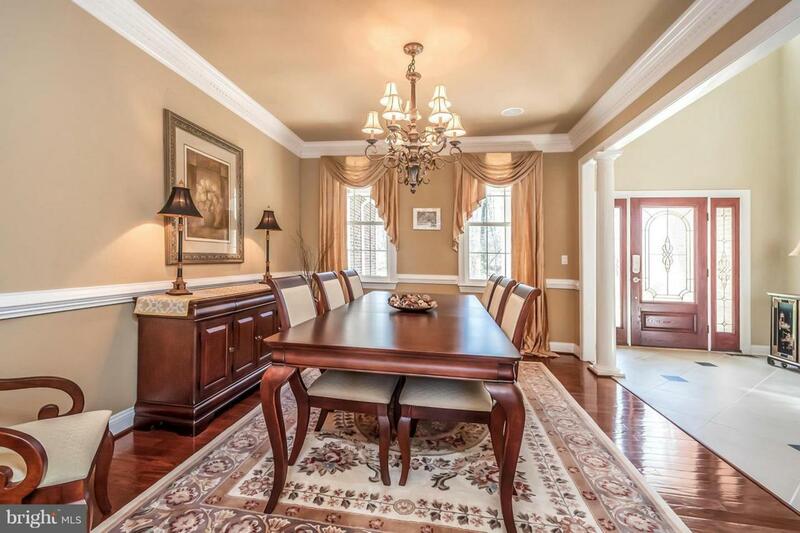 The formal dining room features hardwood floors, chair rail and crown molding. 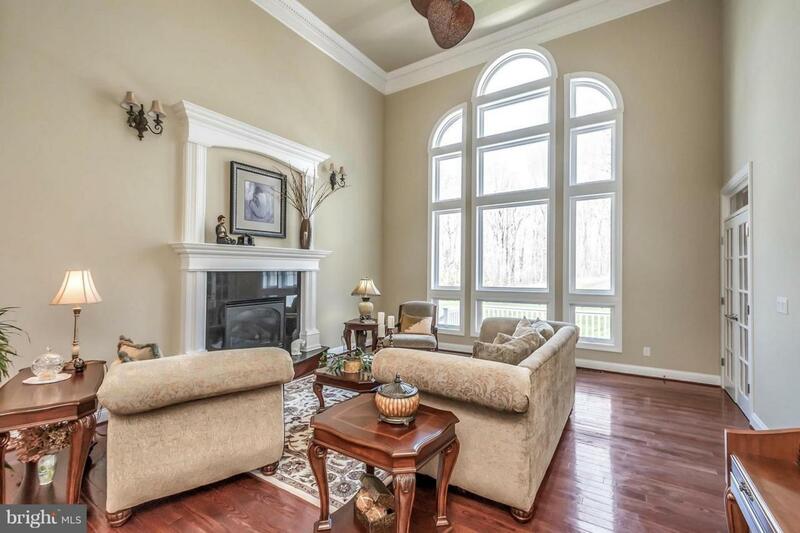 The formal living room has a gas fireplace with custom wood mantel, dental and crown molding, two story ceilings and lots of windows for natural light. The gourmet kitchen has a gas cooktop, stainless appliances, granite tops, ceramic backsplash, breakfast bar, and a separate eat in area with plenty of table space. The kitchen opens to the spacious family room with built ins, surround sound, fireplace with marble surround, wood mantel, a separate stair case to the second level, and French doors to the deck. The main level master suite has a separate sitting room, luxury master bath with dual vanities and granite tops, jetted tub, separate shower and spacious walk in closet. Upstairs features 3 large bedrooms, one bedroom with a private full bath and a jack and jill bath separates the other two bedrooms and you will also find a large study, private office or playroom upstairs as well. The lower level includes a recreation room with a wet bar, granite tops, wine rack, wine cooler, crown molding, and shadow box trim. There is also a media room with surround sound, exercise room and a full bath. The lower level also has a large workshop and storage area. The home is professionally landscaped, has stone sidewalks, a deck for entertaining, machine shed, an additional carport and is in a park like setting with no HOA. Plenty of room for an RV and outdoor toys!